Comcast operates the customer service center out of a trailer on city-owned property on Shelter Road. Despite what Mayor Jay Gillian described as exhaustive efforts by Ocean City to keep the company in town, cable giant Comcast is closing its customer service center on Nov. 18. Word of Comcast’s pullout was met with complaints and criticism from city officials and customers, including a suggestion by one councilman to invite other cable companies to town to provide competition for Comcast. Gillian, in remarks to City Council at its meeting Tuesday night, said Comcast is leaving even though “we’ve done everything humanly possible” to save the customer center. Those efforts included allowing Comcast to operate the customer center at two city-owned locations without having to pay rent. Angered by Comcast’s departure, Councilman Michael DeVlieger wants the governing body to “explore all options” for cable service in town. 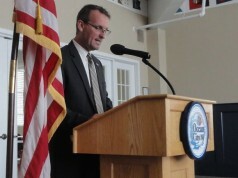 DeVlieger noted that would include the possibility of attracting other cable companies to Ocean City to provide competition for what he termed Comcast’s monopoly. DeVlieger said Comcast’s pullout is “completely uncalled for.” He also said he is dissatisfied with the company’s level of service and how much it charges its customers. Gillian noted that Ocean City is the latest community to see Comcast close a customer service center. The company has been replacing the local centers with its Xfinity brand stores, which operate like retail outlets and allow Comcast to showcase its products and services. Comcast corporate spokeswoman Jennifer Bilotta said the Xfinity stores provide an array of customer services. 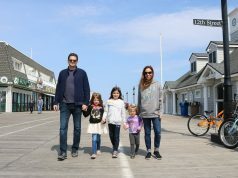 She also said customers are moving away from the traditional walk-in style service centers, like the one in Ocean City, to pay their bills, turn in their cable equipment and purchase Comcast products. Much of the customer contact with Comcast is now done online or through the company’s apps, Bilotta said. 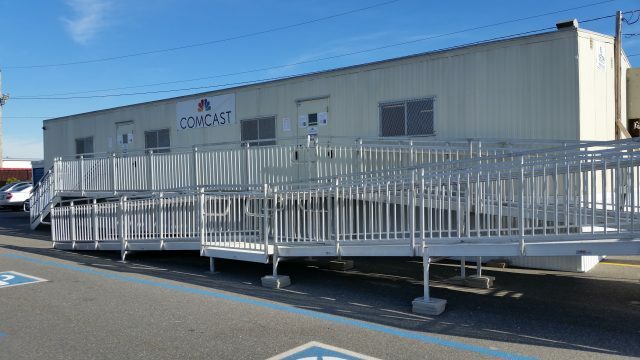 “Customer use of the temporary Ocean City trailer, which will close Nov. 18, has been steadily decreasing as a direct result of the numerous self-help options we now provide and use at the new Xfinity store in Mays Landing,” she said. Comcast opened an Xfinity store at the Consumer Square shopping center on Wrangleboro Road in Mays Landing last March. 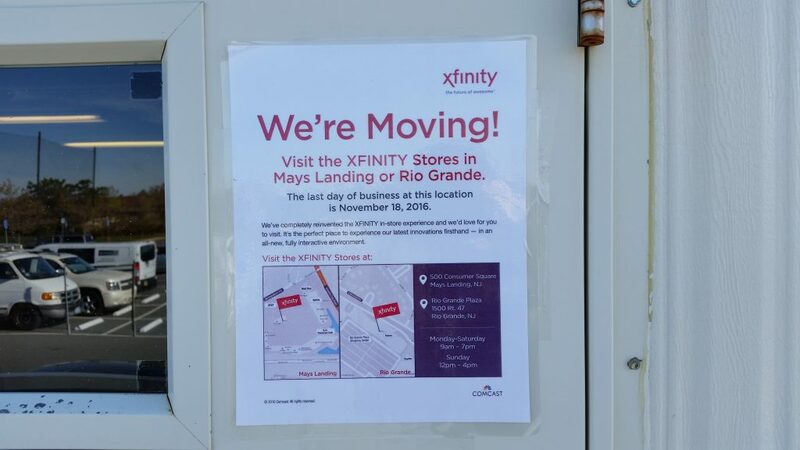 Ocean City customers are being encouraged by Comcast to go to Mays Landing or to the Xfinity store in Rio Grande after Nov. 18. 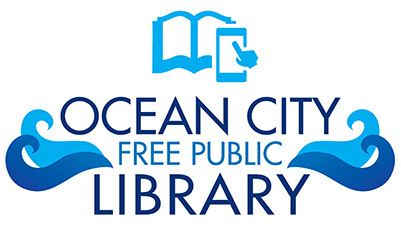 “At the new Xfinity store in Mays Landing, customers who used the (Ocean City) center will be able to use that store or any of our other convenient ways to pay their bills, learn about our products and services, get equipment or schedule appointments,” Bilotta said. Since 2015, Comcast has operated its Ocean City customer service center from a trailer located at Shelter Road off Tennessee Avenue. Comcast customers interviewed Wednesday complained that it would be inconvenient for them to drive about 15 miles to Mays Landing to use the Xfinity store. “It’s a long way to go,” said John Hamilton, a summer resident who lives at Bayberry Cove in Upper Township. Another Comcast customer, John Kenney, called it “a major inconvenience” to have to travel to Mays Landing. “Now, I’ll have to drive 15 miles. It’s terrible,” said Kenney, a summer resident in Ocean City. This is not the first time that Comcast has said it was closing the Shelter Road location. It originally announced the customer center would shut down in March, but Comcast kept it open through the summer tourism season to accommodate Ocean City’s visitors. 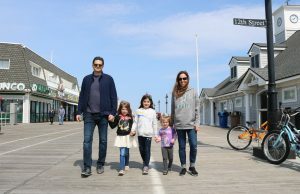 Ocean City’s population swells from about 11,700 year-round residents to 150,000 visitors during the summer influx of tourists and vacation-home owners. The majority of those visitors use Comcast’s services. Gillian said that even after the summer season is over, the customer service center remains busy on weekends. The city’s efforts to keep Comcast in town include allowing it to operate rent-free at the municipal-owned Shelter Road site. Previously, the city allowed Comcast to operate its customer center rent-free for two years when it was located on town property at Fifth Street and Asbury Avenue. The company had to relocate to Shelter Road last year after the city built a skateboarding park on Fifth Street. Comcast once had a customer center at 341 West Ave. 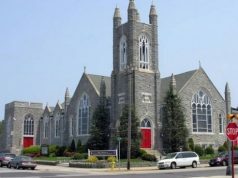 However, that building was damaged by Hurricane Sandy in 2012. Bilotta said Comcast was a tenant at West Avenue and had to leave after the landlord decided not to repair the damage following the hurricane. 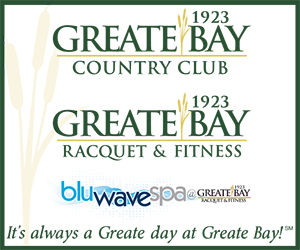 A notice taped to the door tells customers that the center will close on Nov. 18.